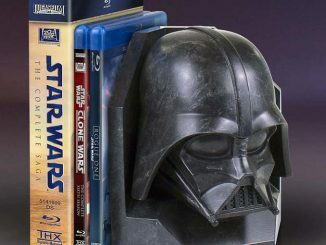 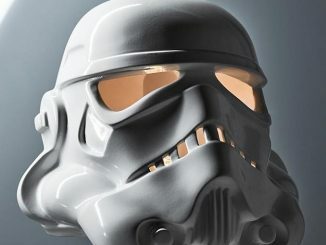 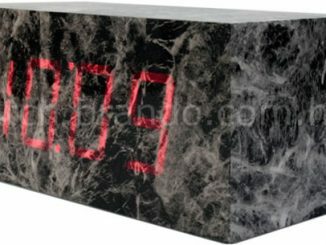 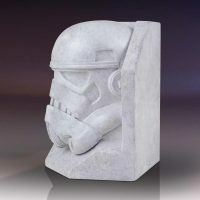 These incredible Stormtrooper Stoneworks Faux Marble Bookends are like the Darth Vader Marble Bookends we recently covered. 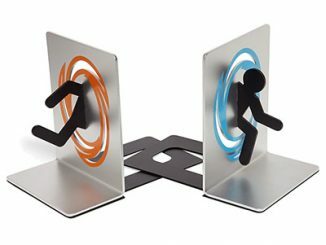 In fact, they would go great together. 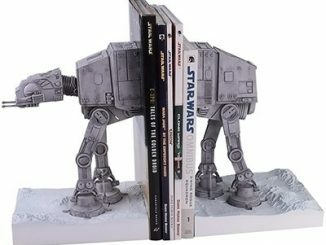 Buy one of each to use one on either end of your books, DVDs, video games, or whatever you want to stack side by side. 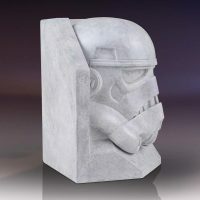 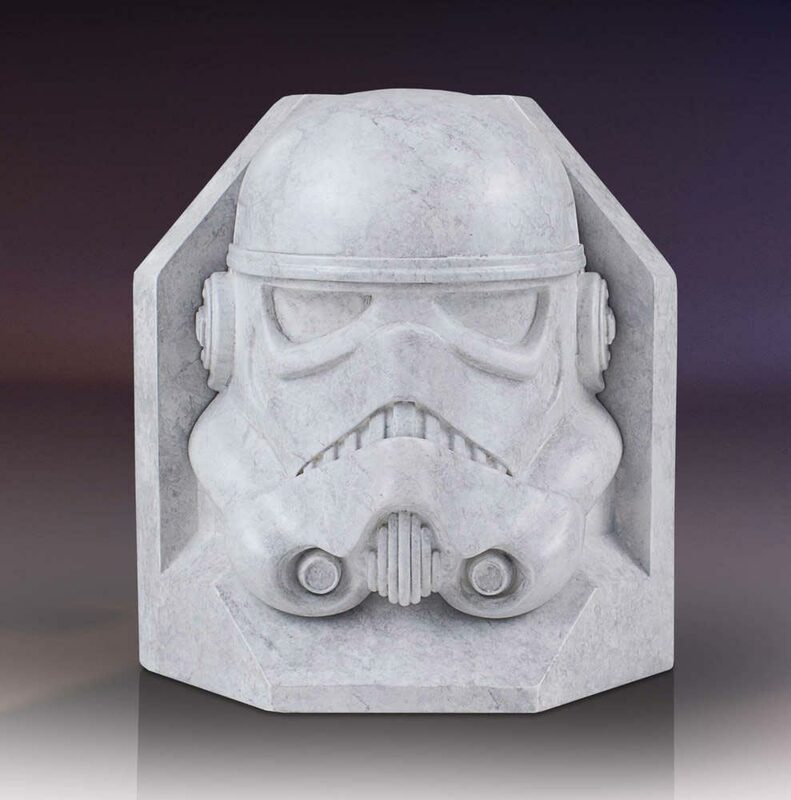 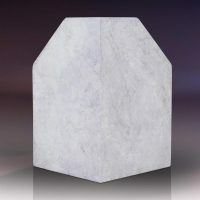 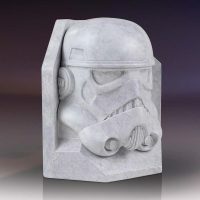 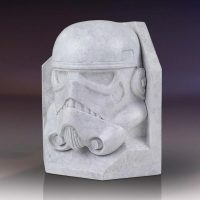 Although they look like real marble, these Stormtrooper Stoneworks bookends are actually high quality cast polystone. 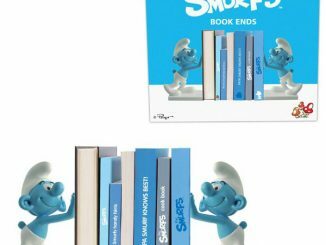 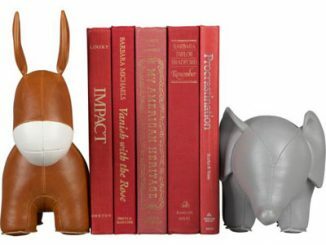 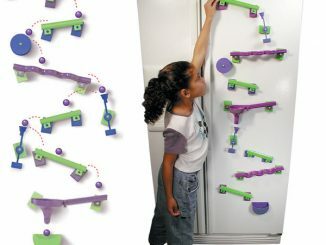 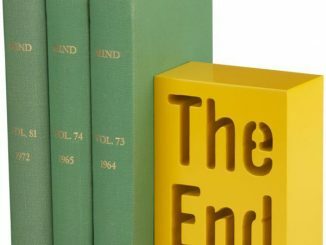 The 90 degree angle in the back gives you the versatility to use this bookend on the right or left side. 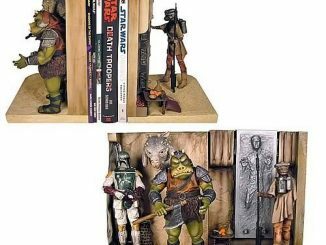 They are hand painted and come with a numbered Certificate of Authenticity. 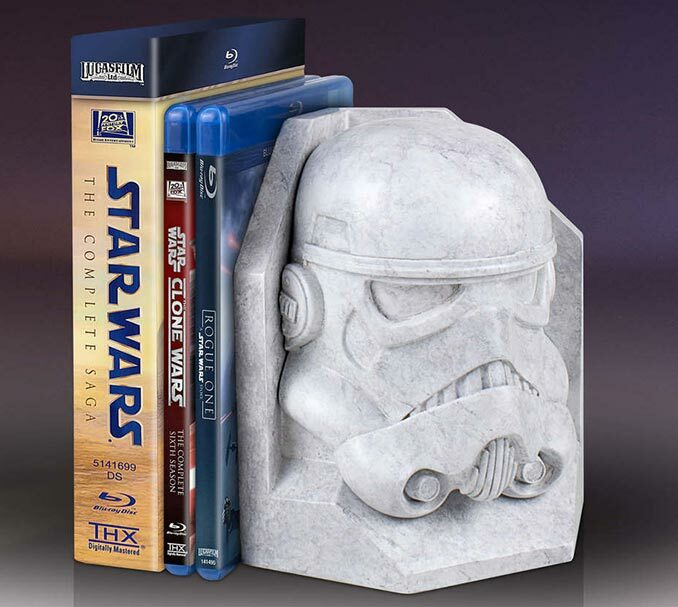 Stormtrooper Stoneworks Faux Marble Bookends are $84.99 each at Entertainment Earth. 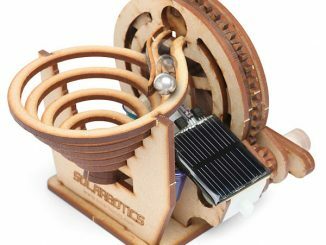 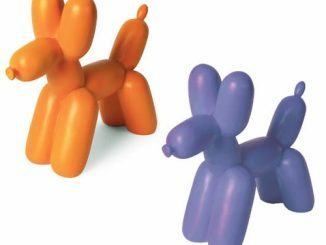 They are currently available for pre-order with shipping expected in October 2018.